Nuvision Federal Credit Union is committed to giving back to the communities we serve and promoting opportunities for financial education growth and career enrichment. With these principles in mind, we are hosting the 2018 Essay Challenge Scholarship Program at participating high schools in the communities we serve. 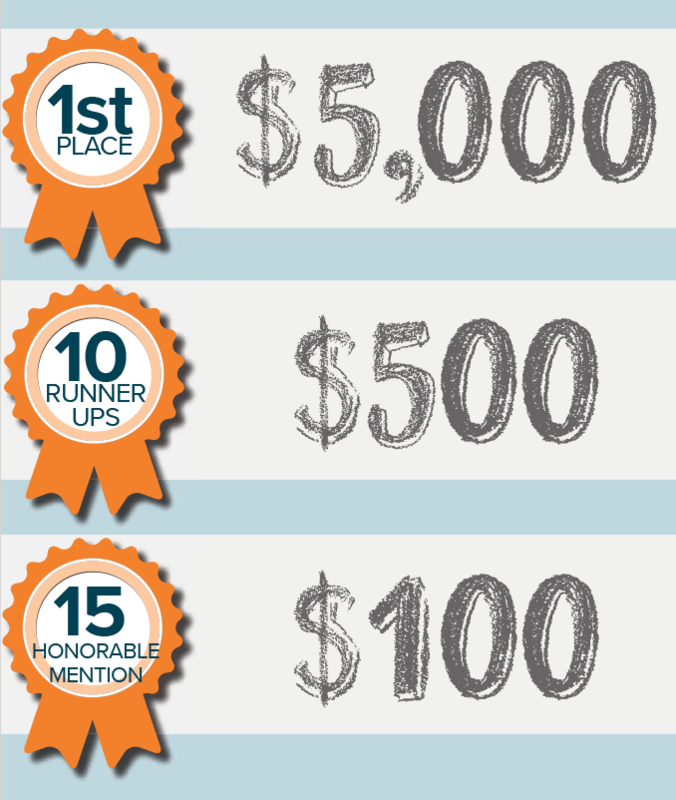 In addition to providing scholarships to students, the Essay Challenge Scholarship Program also includes donations to participating schools and sound financial education to students that we believe will be beneficial to them at a crucial time in their lives when making sound financial decisions is important and can lead to having a sound financial future. Nuvision Federal Credit Union is pleased to be able to support students and help them achieve their educational and personal goals. Students at participating high schools are eligible to participate in the 2018 Essay Challenge Scholarship Program. Students who are children of Nuvision Federal Credit Union employees or officials are not eligible to participate in the Essay Challenge Scholarship Program. The essay must be written on the topic that will revealed at the financial workshops. You must write your own essay. No outside help is permitted. Your essay must be typed in 12-point type. Essay cannot exceed 2 pages in length. You must include your school name, your name, email address and contact telephone number on the top right hand side of each page of your essay. You will receive specific instructions from your high school regarding how to submit your essay. Voting is open to anyone. All voting is via online submission only, beginning at 6:00 p.m. PST on April 09, 2018 and ending at 11:59 p.m. PST on April 30, 2017. During the online voting period, a person may vote only once per day at www.EssayChallenge.com. Any attempted form of tampering with the voting on the www.EssayChallenge.com website will not be tolerated. If Nuvision Federal Credit Union discovers or suspects that a student participant has acquired an unusually high number of votes via vote exchange websites, groups, proxy servers, IP changers or similar methods, as determined by Nuvision Federal Credit Union in its sole and absolute discretion, the participant will be disqualified from the 2018 Essay Challenge and will be barred from participating in any future promotions sponsored by Nuvision Federal Credit Union. Nuvision Federal Credit Union is not responsible for lost, late, incomplete, inaccurate, undelivered, delayed or misdirected online voting submissions. Nuvision Federal Credit Union is not responsible for any online transmission errors resulting in omission, interruption, deletion, delay in transmission, or for technical, network, electronic, computer, hardware or software malfunctions of any kind, or failure to receive information by Nuvision Federal Credit Union on account of technical problems or traffic congestion on the Internet or at any Website or any combination thereof. Nuvision Federal Credit Union further reserves the right to disqualify any individual who tampers with the online voting process or otherwise does not follow these official rules. Nuvision Federal Credit Union may prohibit a student from participating in the Essay Challenge Scholarship Program if it determines that said student is attempting to undermine the legitimate operation of the Essay Challenge Scholarship Program by cheating, hacking, deception or other unfair practices. Winners will be announced on the Nuvision Federal Credit Union Facebook page on May 2ndth at 3:00 p.m. PST. A complete list of winners will be available on www.EssayChallenge.com. Prize(s) must be accepted by the winner(s) by June 29, 2018. If a winner is 17 years of age or younger as of May 02, 2018, the scholarship proceeds must be deposited into a Regular Share Savings Account, Young Adult Checking Account, or Coverdell Savings Account, at the option of the winner and his/her parent or legal guardian. If a winner is 18 years of age or older as of May 02, 2018, the scholarship proceeds must be deposited into a Share Savings Account or a Young Adult Checking Account, at the option of the winner. Nuvision Federal Credit Union will deposit the scholarship proceeds directly into the account chosen by the winner. All deposit accounts are subject to Nuvision Federal Credit Union’s Member Account Card and Fee Schedule, which will be provided to winners at the time the accounts are opened. The Credit Union will report all scholarship winnings to the appropriate state and federal agencies as required by applicable law. Winners are responsible for all tax consequences (if any) of the scholarship prizes. PUBLICITY AUTHORIZATION: Each winner agrees to permit the Credit Union to utilize his/her name and likeness in promotional and other Credit Union materials, without additional compensation or permission, except where prohibited by law.